Republicans Overseas Israel Chairman Marc Zell says US Embassy can be moved 'tomorrow' by swapping signs. Marc Zell, the chairman of Republicans Overseas Israel, spoke about US President Donald Trump's decision to recognize Jerusalem as Israel's capital and to move the US Embassy from Tel Aviv to Jerusalem. Speaking to Kan Bet, Zell said Trump's decision was "historical and dramatic," with a lot of political and legal effects. "At 8:00p.m., after 70 years, the US will change its policy," he said, noting that 12 former US presidents did not have the courage to do this, and refused to recognize Jerusalem. "What Trump is doing now is huge. The Embassy move will come, and he can move it tomorrow, just by switching its sign with that of the US Consulate in Jerusalem." Zell emphasized that the Embassy move will not happen immediately, since Trump wants to take "baby steps." According to US officials, Trump will sign the waiver that postpones the Embassy move for another six months, in order to provide the time necessary to make the transition from Tel Aviv to new offices in Jerusalem. "It will come," Zell said. "He promised, and it will happen. He wanted to do this a long time ago, but he didn't do it because he wanted to see if the region would form a coalition against the real threat - Iran." "The Embassy could be moved tomorrow. 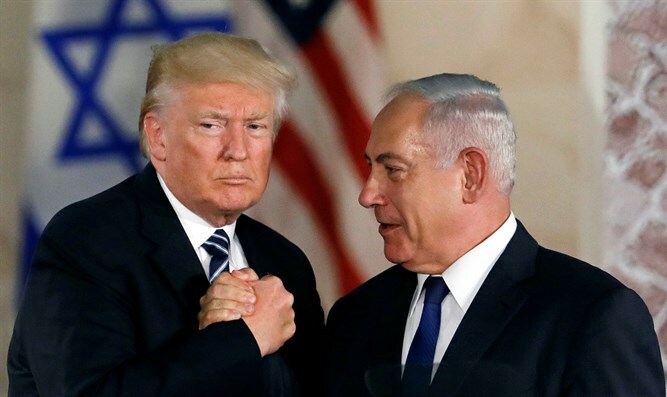 It'll be hard for the Palestinians to swallow it, so Trump is giving the Arab public some time to understand what's happening, and that there's a change for the better. He doesn't want to shock the entire system, he wants to do this with wisdom. "I congratulate him for this, and I congratulate him for his courage. We've waited seventy years."